started his music career on 2009′s X Factor where he finished runner up, and went on to sign a joint record deal with mentor Simon Cowell and Epic Records. His self-titled debut album was released in November 2010, entering at No.2 behind Take That and reaching double platinum status. Featuring ‘Please Don’t Let Me Go’, ‘Thinking Of Me’, ‘Heart On My Sleeve’ and ‘Busy’ it was the biggest selling album of 2010 by a debut artist. His follow up album ‘In Case You Didn’t Know’ was released a year later shooting straight to the No.1 spot and has now sold over a million copies in the UK alone. The album includes No.1 singles ‘Heart Skips A Beat’ ft. Rizzle Kicks and ‘Dance With Me Tonight’. Olly’s third album ‘Right Place Right Time’ shot straight to the No.1 spot with 127k week one sales, making him the fastest selling male artist of 2012. The album features his 4th No.1 single ‘Troublemaker’ ft. Flo Rida, ‘Army of Two’, top 5 single ‘Dear Darlin’ and fourth single from this album ‘Right Place Right Time’. The fifth single released from this album was ‘Hand on Heart’. The album was released Stateside, entering the Billboard charts at No.19, with ‘Troublemaker’ already achieving Platinum sales. In between recording and performing, he also co-presented X Factor’s spin off show ‘Xtra Factor’ with Caroline Flack for two years running. In June 2013, he embarked on the Robbie Williams ‘Take The Crown’ European Stadium tour as his special guest, following his own sold out headline arena tour, and has since collaborated with him on his Swing album. Olly also supported One Direction in Japan for the last few shows of their Take Me Home tour in November 2013. A Special Edition version of Olly’s ‘Right Place Right Time’ album, including 7 bonus tracks as well as his 2013 tour DVD ‘Olly Murs: Live At The O2 Arena’, was released at Christmas 2013, taking his album 4x Platinum. 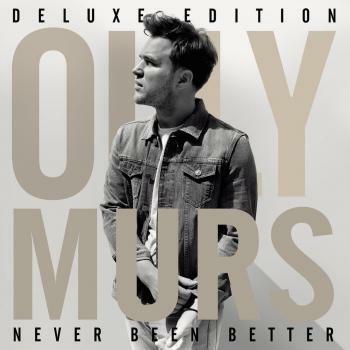 Olly’s fourth album ‘Never Been Better’, including the first single from the album ‘Wrapped Up’ as well as his new UK single ‘Up’ featuring Demi Lovato, was released in the UK in November 2014. The album, which also features writing collaborations with One Republic’s Ryan Tedder and Paul Weller, shot straight to the #1 spot in the UK. Olly is currently in the US promoting Never Been Better (now available for US pre-order), before returning to the UK for his 2015 Never Been Better arena tour. Tickets for Olly’s 2015 UK and European tour are now on sale. 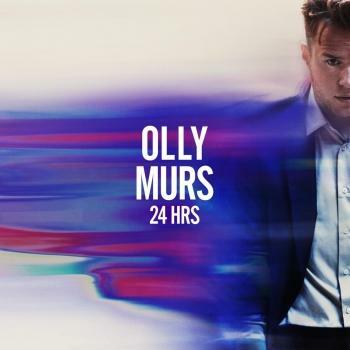 For more details visit http://www.ollymurs.com/live/.